GarryB wrote: Interesting vid of the missile launch fail. I remember having a discussion with someone on the internet about the cold launch system for Russian SAMs and he was convinced that the cold launch system was flawed because if it was thrown up into the air and dropped down onto the deck such a large solid fuelled missile would immediately explode and set all the other missiles on fire and practically destroy the ship. He suggested the cold launch system should be angled out so that ejected missiles would land in the water if they did not start properly. Of course I did not think the cold launch system would fire if there was something wrong with the launch system. Of course having said that a cold launch system is actually a good thing because this missile did nothing but sometimes when a solid rocket motor fails, it often just explodes, so exploding inside the missile tube would seriously damage the vehicle it is mounted on and risks setting off other nearby missiles. Having said all that your comments about the rough air field performance of the Su-25 are interesting. 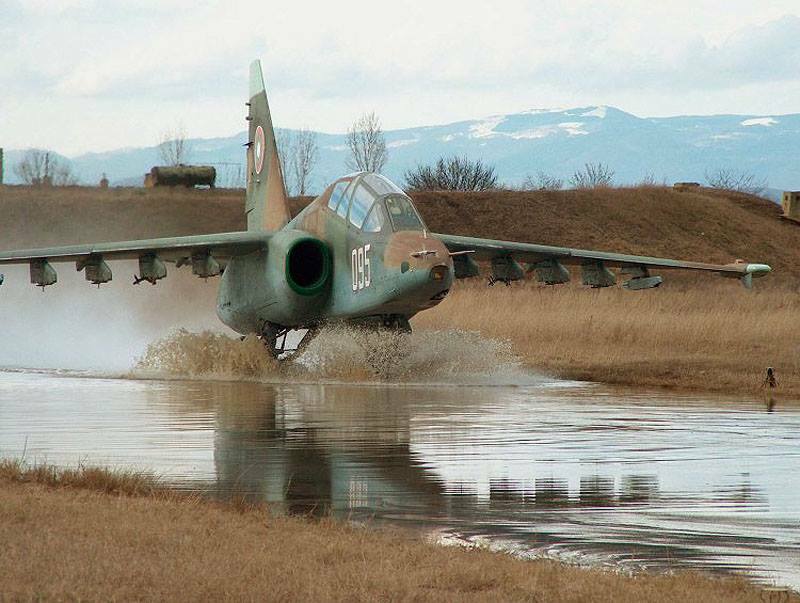 I remember seeing a video done during the testing of the aircraft where they removed the wheels and fitted skis for takeoff and landing in deep mud.... now that was impressive. The explosion is not really dangerous. They are are not HEAT missile but carries a lot of small metalic fins to dammage aircrafts. There is one of the missile that explodes in the video and it disn t made the other explode. It is dangerous to move a missile that didnt explode however on a ship because the explosion is dangerous for humans. But the main warehead is hardly going to explode they are not WWII bombs that explode when the bomb isn t moving anymore or made with a timer and mechanical fuser. Most of them are programmed to not explode near the lunch site or for a part of the flight. Do you have of the video of the su25 ?? That should be awsome to watch !! 25SM and 25SM3 are both rebuilds and not new. The 25SM3 costs were announced as approximately $6.5 ml US per to upgrade a Su-25 to Su-25SM3. That missile carries a 150kg HE Frag warhead and yes it would be very devastating if it did explode properly. In this case nothing exploded. In the case you mention I expect it was the propellent that exploded. If the warhead had exploded all the other missiles nearby would also have been exploded and there would have been a huge crater. A 50kh HE bomb will kill the crew of an Abrams tank.... the pressure wave crushes them but also sets off the ammo inside too. I saw the video on a TV programme, but I have seen stills from the video in a book. That's not only 150 kg of explosives. The warehead is 150 kg, its warehead is composed of some thousands of metal pieces. Most of pilots downed by missiles survived and at altitude the explosives are much more powerfull. There are lot of video showing IED exploding near tanks ans they survived. The main goal of the explosive is to send those small piece on the aircraft, not to kill the pilot. Im not an expert at all in this field but you can't jude the power of it just by the weight. There are much more chances in such scenario that just the propellent explode. And thats pretty safe. There was another video of ukrainian toshka exploding and not dammaging the other one that was 10 m near. That is a very nice xoncept if it could be lunch from the water it would be very usefull so that they don't need airports. Like landing on the water and stoping on the ground so that it doesn t end at the bottom. But if Russia was to sell Su-25SM3 to another country? ? Not sure of a price but they would have to take the aircraft from their stock so until a replacement is found probably is not happening. They may upgrade the customers present stock and I'm sure the price would be higher then $6.5 ml. The VKS maintains 10 operational squadrons presently, plus some training aircraft, so you are looking at 150-160 active aircraft of which ~ 80 are 25SM. There would be around 50 or so in storage. franco wrote: The VKS maintains 10 operational squadrons presently, plus some training aircraft, so you are looking at 150-160 active aircraft of which ~ 80 are 25SM. There would be around 50 or so in storage. Ok so small potential for sales. I think offering upgrades could be more lucrative. We all experienced as a personal grief the death of pilot Roman Filipov, rightly awarded the title of Hero. The situation in which the downed pilot was, left him no chance to escape, and he acted like a real warrior. 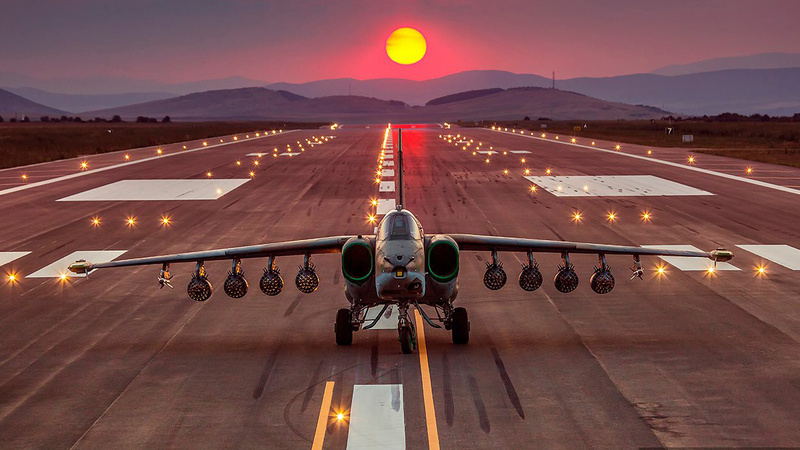 More Su-25, known even under the name "Grach", will not be destroyed from MANPADS. At the airbase in Kubinka there is a large batch of real super-Su-25SM3 superstructures ready for dispatch to the troops. In fact, under a well-known name, cars, one might say, of a new generation will enter the system. At the Su-25SM3 new on-board radio-electronic equipment is installed, and exclusively domestic development and production. Upgraded avionics will allow the use of more modern missiles, including guided missiles, as well as corrected air bombs. The stormtroopers had the opportunity to strike not only all types of ground targets, but also to conduct an air battle. They have a wide range of speeds - from almost a thousand to one hundred kilometers per hour without stalling in a tailspin. The practical ceiling of the Su-25SM3 reaches ten thousand meters. Without refueling, it can fly 1850 km. Su-25SM3 will also be effective in combating unmanned aerial vehicles. "Rooks" received satellite navigation GLONASS. According to experts, it allows you to specify the final point of flight with an accuracy of ten meters. That is, even in conditions of reduced visibility, the attack aircraft will definitely reach the designated target and will deal a crushing blow. As a result of all innovations, the combat effectiveness of the new-old aircraft increased almost threefold. But perhaps most importantly, the stormtroopers received almost absolute protection from MANPADS. In Russia, they were able to create a complex that is guaranteed to protect against missiles with thermal homing heads such as "Stinger" or "Needle." Complexes are called "Vitebsk". They are installed on all Ka-52 helicopters. In general, according to the order of the commander-in-chief of the Air Force Colonel-General Alexander Zelin, not a single rotorcraft designed for operation in hot spots should be sent to the troops without the Vitebsk complex on board. Therefore, they are equipped with Mi-8 in Syria. The efficiency of the complex has already been confirmed. The Russian Mi-8 helicopter, transporting a humanitarian cargo in the province of Ham on October 8, 2016, was fired from a man-portable air defense missile system. The rocket passed by. To this day, not one of our helicopters, equipped with such a complex, missile of MANPADS was shot down. so why they didnt send this one toSyria huh? There are only 5 active so far, apparently another 16 will soon be joining them. Can't they make a pod with missile detectors and flares ? Su-25 has lot of hardpoints and it would be fast to make it. Interesting to see how the downing of that Su-25 has prompted a few reassuring messages from manufacturers. I believe there's an article on Sputnik which stated that the changes in the SM3 variant would make it "100-percent" protected against manPADS. Now, Russia has some serious engineering prowess, and has shown that to no end over the last century, but messages like that are really just for average-joe readers to digest and feel at ease. Fact of the matter is, there will always be a scenario where the system fails to do its job, and as the system becomes more common place among Russian jets, the more likely a response will be developed. This is all well and good, and is the natural flow of things, sure. Here's what really gets me, though. The recent advancement of IR missile seekers has been mentioned earlier. Both Russia and the US are working towards missiles that are no longer fooled by flares and have shown decent success. That is why Sukhoi has gone though so much trouble to develop a system based on different principals to tackle the IR threat for the Su-57. This leads one to wonder exactly how practical it will be to add the proposed system to X number of Su-25s, when the threat they were designed to defend against has already evolved into something more capable. I wonder, when will RuAF start modernizing their twin seaters Su-25UBs. It's nonsense to have non modernized twin seaters with modernized Su-25SM, but even more nonsense to have non modernized twin seaters with Su-25SM3. It's like having MiG-21UB with Su-27 fighters. They need to modernize them to SM3 standard. medo wrote: I wonder, when will RuAF start modernizing their twin seaters Su-25UBs. It's nonsense to have non modernized twin seaters with modernized Su-25SM, but even more nonsense to have non modernized twin seaters with Su-25SM3. It's like having MiG-21UB with Su-27 fighters. They need to modernize them to SM3 standard. My understanding is one or two were but then it was decided that the frames were too used and not worth the investment. Yeah, they are flown-out. Have about 8-10 years more of service life. franco wrote: There are only 5 active so far, apparently another 16 will soon be joining them. The other are two contract for 14 (5+9) that will go to one squadron of Primorsko-Akhtarsk and probably a couple of examples for Lípetsk. There were 5 delivered in 2016 and they were involved in testing last year. Reported on several occasions by the MoD. Perhaps they are included in that 16 total apparently sitting at Kubinka awaiting deployment. As for the -25SM version, your figures match what I have read. (Finally!) February 2018 image of #Sukhoi-25SM3 at Kubinka, with a pair of L-370-3S radar jamming pods on outermost wing hardpoints where now redundant A-60 (NATO AA- pylon used to sit - part of Vitebsk-25 #EOCM & #MAWS suite. Any information about where and when this photo was taken, and who the aircraft belongs to? Interfax src:"22 Su-25SM3s to be transferred to the MoD in April 2018"
"large number of Su-25(SM)s are planned for SM3 ('deep')upgrade under State Armaments Program(GPV) to 2027,but the relevant contracts have not yet been signed"